Siritunga Jayasuriya, a trade unionist and leader of the United Socialist Party is best-known for being a high-profile Sinhala dissenter against the war on the Tamils in Sri Lanka. A fierce critic of the current regime and an ex-Presidential candidate, Jayasuriya has survived several attempts on his life. His unwavering voice of dissent cannot be silenced wherever he is. During a recent visit to India, he spoke to Meena Kandasamy about the situation in the war-torn island and bravely answered questions on India’s role in the war. Meena Kandasamy: You were telling me about your friend Deshapriya who had to flee Sri Lanka because he happens to be a mediaperson with his own individual and independent opinion. Right now, a lot of coverage especially in the Tamil Nadu press is about how Sinhalese journalists have been forced to flee their country just because they are dissenters. What is your take on that? Siritunga Jayasuriya: You see that is a very good point to start, because not many journalists started their discussion in that angle. Now, many people think Sinhala people live okay, and that the problems lie with the Tamils. I think that is not the correct picture. Of course, Tamils are the worst-hit victims, but at the same time, the Sinhala people are also victimized. The first victim of war is democracy, followed by rights of all the people. For example in the last few years, particularly in the last few months many independent trade union sections like health, the railways, the teachers, came out with their own demands. The government immediately started a vicious campaign through the media and accused union leaders of being supporters of the LTTE. Then the members of the unions, their families asked, “Your leaders are supporters of the LTTE, is that so?” So they had to resign from their unions. Journalists, who come out with their own opinion, who bring out the inside stories of the battlefields, what is happening within the army, what are the grievances of the army, how many soldiers are being killed and what is their problem—when journalists comes out with such things, the threats come to them. Within the last two years, excluding Taraki Sivaram (who was killed three years ago), nine journalists have been killed, 29 key journalists have been beaten up, more than 20 journalists are behind bars without proper charges, and three main media institutions, printing presses and TV stations like MTV, Sirasa TV have been banned. So now, there is no room for people to say what they believe or see in Sri Lanka. There is no room for the people to come out with their struggles, everything has been suppressed showing the war’s victory. After the killing of Lasantha Wickramatunga on 8 January 2009—I was one of the main organizers of his funeral and I played a key role—we have come together because we know that this war is not going to end after defeating the LTTE, but instead the guns are going to turn against the Sinhala people as well. The people who are going to criticize the government, those who are going to put forth different viewpoints are going to be suppressed. This is the situation there. That is why, now, in spite of all the political differences all the major political parties in Sri Lanka, together with social, civil and human rights organizations, including intellectuals and lawyers have come together to form a platform which we call the Platform for Freedom. This aims at freedom for whole Sri Lanka, including the South where we live. We seek the right to live, the right to freedom of expression and an end to war. Meena Kandasamy: I read that you were beaten up by a 300-strong crowd of thugs when you contested the Presidential elections. . .
Siritunga Jayasuriya: Yes, that happened towards the beginning of this Government. I contested the last presidential election and I came third. We are a very small party, please don’t think that we are a very big force. I don’t want to create any wrong picture. Many people demanded me to come, to take up the leadership. So we entered the fray. We knew this war was going to take place, so we thought it was better to come forward than to simply agitate against the war. So we held a big meeting in Colombo and I was supposed to chair that meeting. A hour before the meeting was scheduled to start, a group of thugs in vehicles openly invaded the stage and smashed everything. The Labour Minister in the Sri Lankan Government Mervin Silva led the group openly. The meeting was about to begin when I saw a group of people coming. So, I started running and I narrowly escaped. Some people were coming behind me to almost catch me by the collar. I managed to board some vehicle and get out to some other place. This is only one incident. Meena Kandasamy: Mervin Silva was also responsible for beating up other journalists. Siritunga Jayasuriya: Mervin Selva is a well-known person for assaulting journalists. He led the attack on the government owned Roopavahini radio station and beat some of the senior journalists. He assaulted them inside their government office. But, the workers gave him a good treatment after that. In a live programme that lasted four hours they kept him hostage. Even the police couldn’t take him back. Even very recently, he has assaulted many TV journalists. He was dragged to court, where he finally apologized and even paid the fine for damaging somebody’s camera. Meena Kandasamy: I heard that only those media persons who are within Sri Lanka, but even those who have left the country are afraid to comment about what is going on there. They are afraid that their families, their relatives and their close friends will be threatened and put to hardship. Why do you think the freedom of the Press is being curtailed in such a big manner? Meena Kandasamy: Only within Sri Lanka we observe that some of the radical left parties have taken on a major chauvinistic and extreme nationalist position. How do you reconcile to this, being a leftist party? Siritunga Jayasuriya: The original base of the JVP was Communism. One of their main motives was to work against Indian expansionism. They said that the unemployment problem was because of the Tamil plantation workers who had come from India. They were not this bad at that moment. They had some sort of Marxism, some sort of Socialism. They had photos of Marx, Engels and Lenin behind them. They are the biggest Red, but from the beginning, they are not socialists. During an earlier period, in the 1980s, the JVP leader Rohana Vijayaweera accepted self-determination to the Tamils. It was in one of his minor publications. But the present generation leaders say that he is misrepresented totally and that their leader never said anything like that. That’s how they are. Right now they are centrists: mixed with the socialists, but also mixed with the communalists. Meena Kandasamy: You say that the JVP at some point of time has accepted Tamil self-determination. What is your opinion of Tamil self-determination? Siritunga Jayasuriya: Accepting Tamil self-determination is one of our key demands to meet this problem. I don’t think that accepting self-determination itself is the answer, but it is a first step, a meeting point. Even in our election campaign, even in the local area elections a few weeks back, we say (in spite of the great difficulties we face) that accepting self-determination is the first step towards solving the ethnic crisis. Meena Kandasamy: You are a staunch opponent of Indian expansion. I have been reading reports of how Sri Lanka is being written away to foreign companies. Take Indian Oil for example. How do you react to this? Siritunga Jayasuriya: This is another interesting question, and I will link it even further. Some people are asking why the Indian Government is supplying the arms? Why the Indian Government is sending military experts to Sri Lanka? What is the reason? In one way, I think that India is also part of this problem. Not only this government, but also all the past governments are part of this problem. The Indian capitalist class of bourgeoisies and the ruling class go together. They are more interested in the business and political life than in the welfare of the Tamils. Already, the automobile industry in Sri Lanka, is dominated by Ashok Leyland, Maruti, Bajaj who control more than 50% of the industry. Likewise, the Indian Oil Corporation carries out nearly 50% of the oil distribution in the island. Before the war, Sri Lanka was popular for its tea: the Ceylon tea. I have to say that unfortunately there is no more Ceylon tea. Tata owns most of the tea estates in Sri Lanka. So, you now drink only Indian Tata Ceylon Tea. A month ago, Airtel Mobiles has invaded Sri Lanka with an advertisement from Shah Rukh Khan. “Hello Sri Lanka! What do you want? Free SIMs for all of you!” People are queuing up to get the free SIM cards. These are just few examples, just the agendas behind them are scary. At the same time, because of the pressure from Tamil Nadu, these politicians have to put a bit of drama. Like Pranab Mukherjee going there, like Kanimozhi’s giving a resignation to her father. Forget about India. I think that even if Barack Obama is going to make a statement next week, it is not going to make a big difference. Right now, democracy is under threat. I am not defending the LTTE, I am not defending their brutal methods. They have unnecessarily antagonized the Sinhala people and our mouths have been shut because of them. Like killing school children. I understand their tactic because the Sri Lanka army is doing the same thing. In India, the question is who will form government in Tamil Nadu. So everybody wants to make a statement against another person’s statement and nothing happens except the Tamils finally suffering in Sri Lanka. So, we have to demand the Tamil Nadu politicians to come together on one platform. 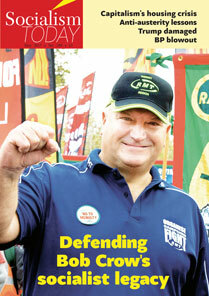 I think all the working people: autodrivers, fishermen, farmers, school children, everyone should come together. Unless we shake the system, everyone will only continue to come forth with crocodile tears. They will only come up with fresh statements, and everyone will be thinking, “Aha, that is a very good statement. Something will happen.” Everybody believed that 28 MPs would be pulled out of the Central Government and that the Central Government will collapse. That did not happen. I think it was a political drama. I am a politician, I am a political animal, but I think when we are faced with such a final situation, we should forget our political agenda. First of all we must look after the people, and we must give them the chance to live. Only then does politics come. Meena Kandasamy: Do you think the International Community is keeping away from this problem solely because of India’s pro-war, pro-Colombo approach? Doesn’t it look as if they are backing Rajapaksa and giving him as much time as he wants? Siritunga Jayasuriya: The Indian Government is helping Sri Lanka under the name of the “War Against Terrorism.” Even though Bush has gone out of the political scene, he has given a very good weapon to all the ruling class to go against anybody, kill him and put the label: “He’s a terrorist.” At the same time, I also feel that the LTTE over-estimated its strength. The LTTE is facing not just the Sri Lanka Army. Some of the major international powers are behind the Sri Lankan Government. China, India, Pakistan, Israel, and even America to a certain extent. All these major powers are there, and all the new weapons are being supplied to Sri Lanka. The LTTE is right now in a defensive war. They would take more time and I don’t know how long. The LTTE is also responsible for putting Rajapakse into power. They did not allow the Tamil people to go and vote. Otherwise, there is no chance for Rajapakse to come to power. I also have a feeling that the LTTE did not use the peace process to get the authority from the Tamil people as a democratic force. They should have opened dialogue with the people, even with the dissenting forces and got the people’s mandate. I strongly feel that the LTTE should have organized a referendum in that area. Then they can show that they are the representatives and have the strength to address the entire world. Similarly, they should have also entered politics in the South, even in Colombo. They could have collected the trade unions and the leftist forces and asked them how their struggle was being viewed. I think the LTTE didn’t utilize the ceasefire period and they might have been over-confident about their strength. Meena Kandasamy: What would be your message to the politicians in Tamil Nadu? Siritunga Jayasuriya: My first immediate demand would be: the Indian Government should first stop supplying arms. The Tamil Nadu politicians should ask the Indian Government to come clean. The Indian Government’s underhand dealings must be exposed. The second thing is that in Sri Lanka, in every small village, there are white flags after white flags. In Sinhala-Buddhist culture, that is a symbol of a death, of mourning. People’s sons have been killed, women have lost their husbands. Everybody is crying. That is a consequence of the war. I know that there is nobody victorious in a war. War is a defeat. This is the real meaning of war and I don’t know how many years we have to spend to overcome this debacle. We were living together for many many years. It is not a question of who came first to Sri Lanka, and to whom the land belongs. I think it is a wrong question. It is not as simple as Sri Lankan people giving something to the Tamil people and the Tamils accepting it. We should sit together; they might be small, the Sinhala people might be bigger. I would like to end my interview with what Karl Marx said: After the environment, the most important question in the world is the nation. Everybody is proud about their own nationality. Someone might be small, someone might be bigger. But the feeling of nationality can never be suppressed by any laws or any means. We only have to find a reconciliation.